Rush Blush is our ultra satin and lightweight powder formulation, which brushes on to a smooth finish. 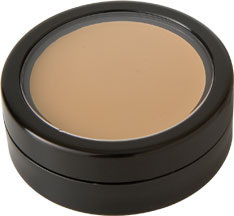 Perfectly pigmented, color never looks dry or flat and is great for contouring face shapes. Layer up for stronger color, or tone it down. Tons of colors to choose from! Icing Rush Blush is our super creamy formula; it is water-resistant, lightweight and will glide on smooth giving you just the right touch of color. Highlight your cheekbones, shape your face, and build and blend with fingers or a brush to create the color intensity you desire. Use over foundation for impact or under for a captivating glow. Provides the ideal soft, round stroke needed for highlighting and shading. he perfect tool for contouring and highlighting. Provides a smooth, soft, expert application.